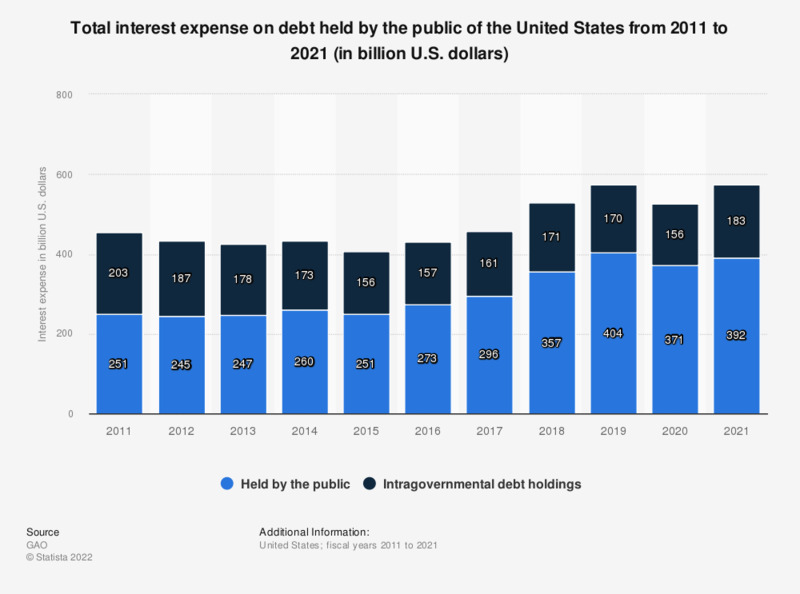 This graph shows total interest expenses for debt held by the public of the United States from 2011 to 2018. In 2018, U.S. Government spent 357 billion U.S. dollars on interest for debt held by the public. The national debt of the United Stated can be found here. Data for 2011 has been derived from Financial Audit 2015 report and data for 2013 has been derived from Financial Audit 2017. Everything On "U.S. public debt" in One Document: Edited and Divided into Handy Chapters. Including Detailed References. Thinking about how much the government takes in taxes and spends on public services, where would you place your views on the scale below?